HBOs Video Streaming: Powered By MLB Advanced? This week, HBO announced plans to launch a stand-alone video streaming service. The interesting part of the announcement was that instead of building the technology for this internally, HBO decided to outsource the content delivery to MLB Advanced Media. HBO’s CTO, Otto Berkes, resigned promptly after this news was released. Why did HBO decide to use an external video streaming company to solve their issues? Much has been said about internal politics, but it’s reasonable to believe that the video streaming technology itself played a huge role. 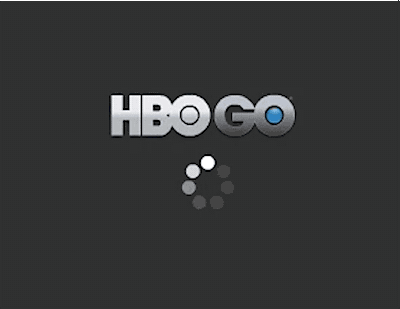 As the Internet debates whether or not HBO management was concerned that they “couldn’t pull it off” internally, as an HBO Go user, I can’t argue with the fact that they’ve had quite a few issues up to this point. There was the problem of the “memory leak,” which led errors and outages for video streaming customers. Supposedly, Mr. Berkes knew about the problem for nine months, but labeled it a “non-issue.” This, of course, led to customers being outraged when massive amounts of users had problems. Over and over again, HBO has failed to deliver high quality video streaming during peak demands. Whether we’re talking about 2014’s season finale of True Detective or season premier of Game of Thrones, HBO’s video streaming system failed to deliver. HBO admitted that overwhelming demand caused viewers to see error messages, and perhaps this is precisely why they’ve chosen to work with MLB Advanced, a company known for creating well powered video streaming networks, even during periods of heavy usage. Of course no matter who you are, supporting huge demand peaks can be difficult. Historically, successfully providing video streaming to millions of concurrent viewers has always required large infrastructure expenses. Thanks to WebRTC, a new generation of P2P systems, which perform better at peaks, are working better than ever and can now function alongside traditional server architecture. As a result of bandwidth offloading, content providers can lower their content delivery costs as well. Perhaps it’s time for HBO to investigate. To learn more about how you can improve your site’s video streaming by reducing loading times, while lowering your bandwidth costs and supporting peak demand, click here.